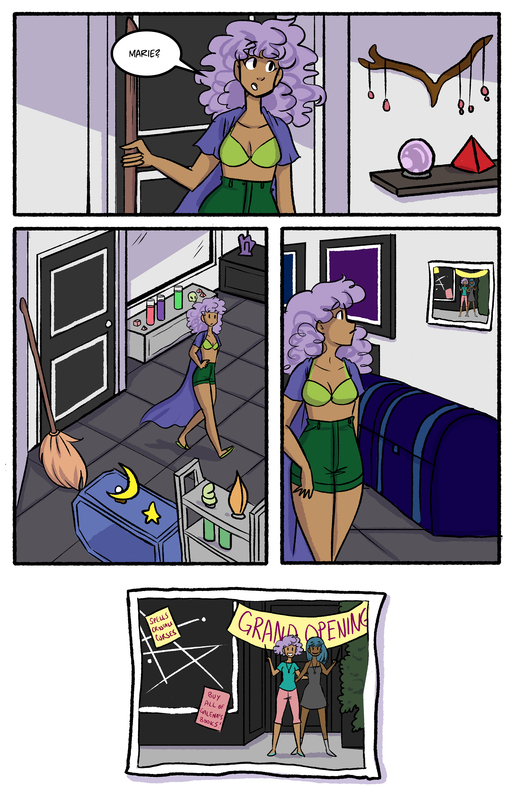 Rubi enters cautiously, leaning her broom against the wall. The shop appears to be empty. Rubi continues forward. She catches sight of an old photo hanging on the wall. It’s of her and Marie outside the shop on the very first day it opened. Arms around shoulders and wands extended, they look happy and bright. A grand opening sign floats above the door. People are lined up around the corner to get in. A Galena poster hangs on the window.